Last week was the first week I could see the gravel in my driveway after a long frosty winter, reminding me it is time to recap this season’s avalanche courses before I get too caught up in rock climbing and adventuring with my ready-for-Summer-toddler-son! In mid-December I flew out to Reno, NV and attended a 1 day AIARE 2 Instructor Refresher Course at Mt. Rose. It was mostly classroom based, which was a boon considering an almost non-existent snow-pack. Most of the material revolved around some changes in the AIARE course flow, mainly a split between a recreational/guide and forecaster bound flow chart. 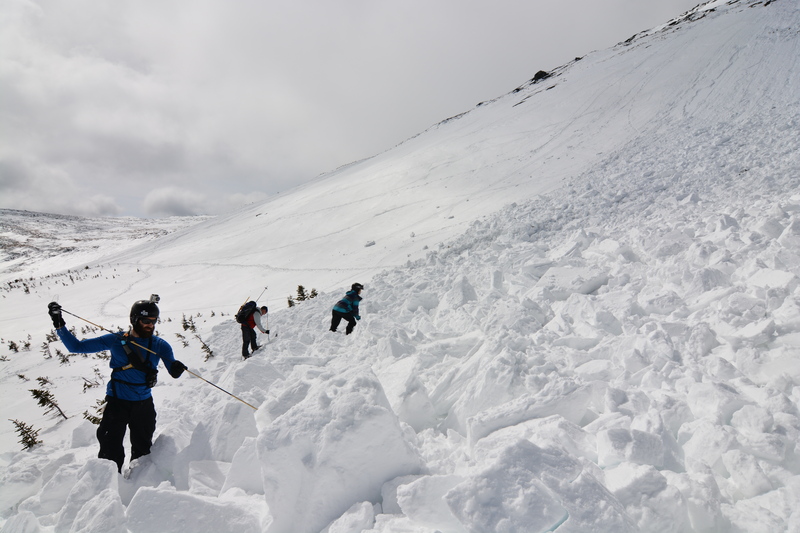 But I’ld like to focus on the Northeast avalanche course season. Despite some big January rains this Northeastern winter was one of the best I have in memory. Not just for avalanche courses, but the ice climbing and skiing was quite good from December to today! We ran 8 AIARE 1 courses and 1 AIARE 2 course… and while I am slightly relieved they are over I kind of miss them already. 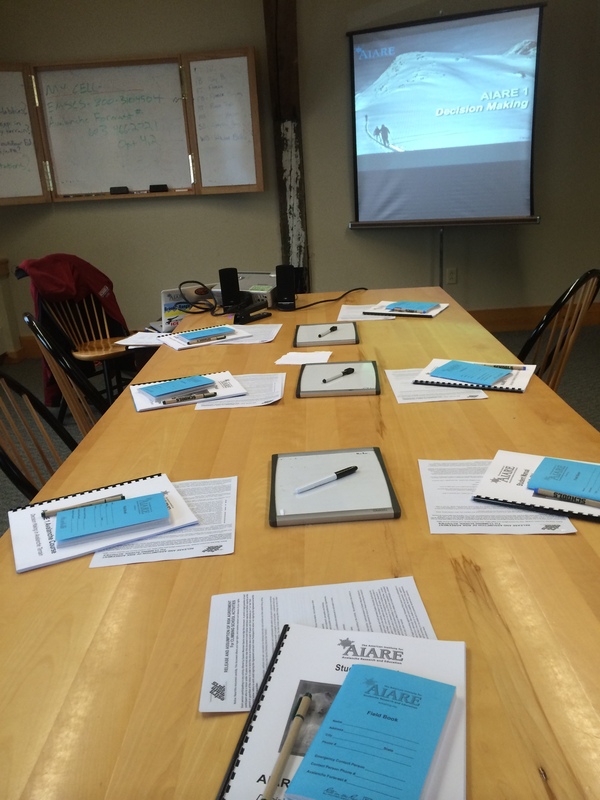 I met so many enthusiastic outdoor people in these courses… from aspiring young back-country skiers to seasoned alpinists, each course was comprised of 7 to 14 like-minded individuals who love to spend time in the mountains. I really feel lucky to have a small part in these folks risk management education and to share some time on the trails with them. 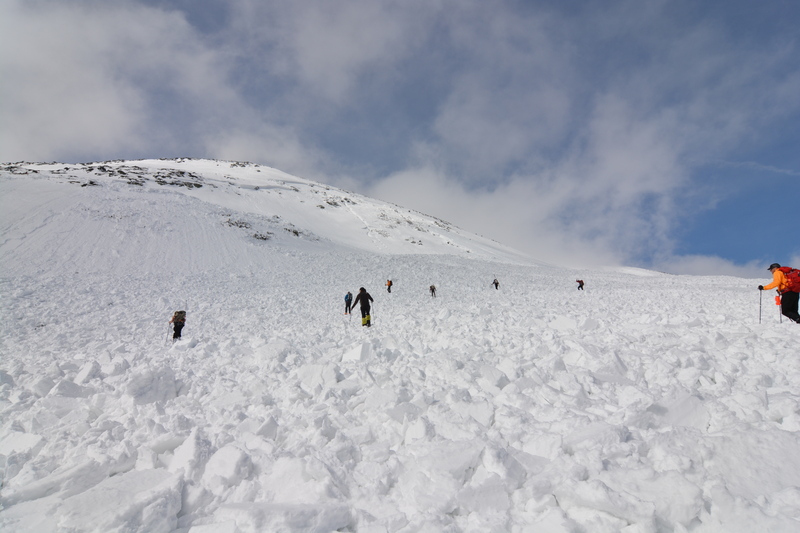 After that the season was relatively quiet as far as human/avalanche involvements were concerned… but things got interesting around early February. Back to back January thaws had us sitting on a relatively thin snow-pack. We then got hit with prolonged COLD… which set us up for a very high temperature gradient. So, all my attentive students from this season, what does extreme cold and shallow snow produce? That’s right… persistent slabs. To be honest when the rangers first started talking about it in the bulletin I resisted. We don’t have these issues in the East right? Well, turns out we do. For 3-4 weeks all I read about in the daily bulletin was persistent slabs issues. Felt like I was living in Colorado! But a little bit cheaper ;). 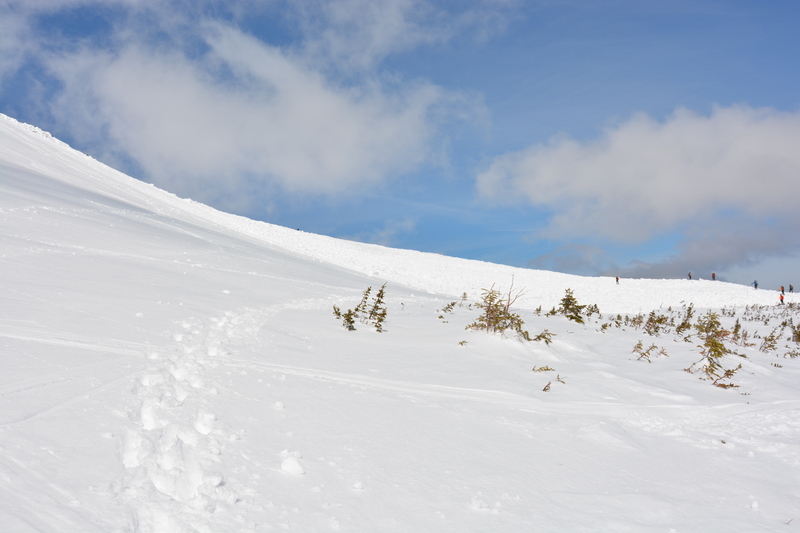 That January 11th rain crust became a household topic (well, maybe just my household), as the USFS snow rangers tracked it day after day wondering when something big might happen on it. As is consistent with the persistent slab problem, nothing happened… until March 29th. 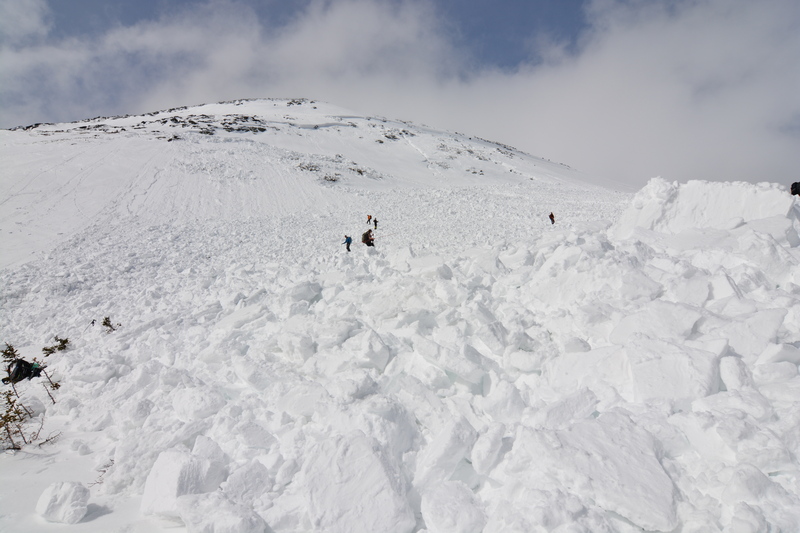 On this early Spring day a historic avalanche rocketed the southeast snowfields on the summit of Mount Washington. Human triggered, and narrowly missing a large group of people who had been in the run-outs minutes earlier, the size and location of this rare event raised everyone’s eyebrows. Former USFS Lead Snow Ranger Brad Ray confirmed nothing this size has happened here in at least 50 years! While it was inspiring to see so many ready to respond to this avalanche with appropriate gear it was a little disheartening to hear of the disorganization of the initial rescue effort (since no one was caught no harm no fowl)… but we should all read or learn a bit about rescue organization. The only other real notable thing on my mind from this past winter was the support that Ortovox gave EMS Schools. This company produces some of the finest avalanche safety gear I have ever tested. I reviewed one of their shovels earlier this season here and have reviews for some of their beacons and probes coming soon. But beyond all the great gear they make they contribute SO much to avalanche education by partnering with AIARE and supporting EMS Schools with great gear. You’ll be hearing more about this company from me in the near future! So that’s it, while I have 1 more Spring mountaineering ascent of Mount Washington planned my sights are on early season rock climbing and hiking around the Whites with my 2.5 year old son. Find guiding related stuff here, and toddler hiking/climbing related stuff over at my other blog, www.adventurewithalex.com. Thanks for reading, be well. Hi Dave – sounds like a great season. I moved out to Colorado this past September, using the skills you thought me in Rocky Mountain National Park. 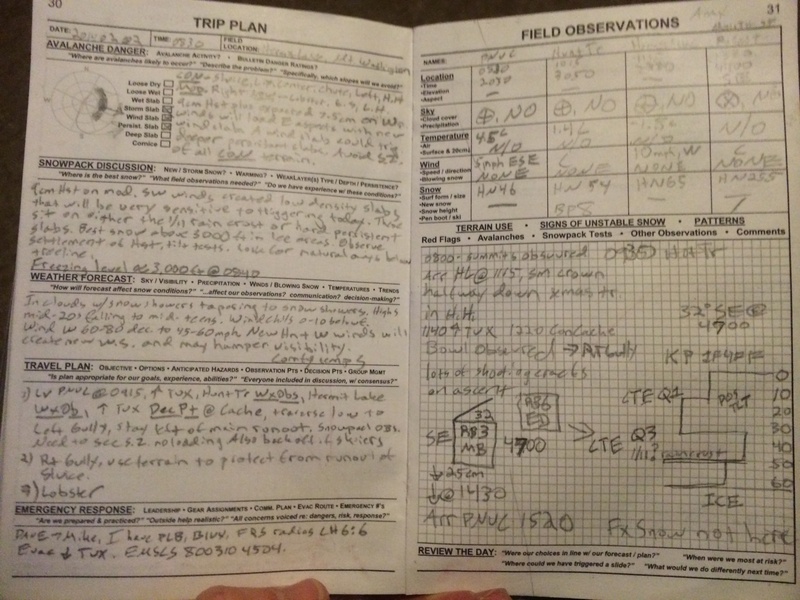 I’ve been following your blog and enjoying hearing about your adventures! Have fun and stay safe out there and stay in touch! Hi Dave – Sounds like a great ski season. I moved to Colorado this past September. Using the skills you thought me in Rocky Mountain National Park.